National Board of Examinations (NBE) has released the application form of NEET PG 2018 on October 31, 2017.The last date to fill NEET PG application form is November 27, 2017. Candidates who have MBBS degree and have a provisional or permanent registration certification issued by Medical Council of India (MCI) or State Medical Council (SMC) can fill NEET PG application form. Also, applicants who have completed one year of internship or are going to complete the internship on or before March 31, 2018 are eligible to apply. Applicants have to enter their Aadhaar card details while filling NEET PG 2018 application form. Candidates can fill NEET PG 2018 application form in six steps, which are – NEET PG registration guide 2018, filling of application form, online payment of application fee, selection of test centre, uploading of images and printout of application form. The prescribed NEET PG application fee 2018 must be paid online i.e. through credit card, debit card or net banking. General category candidates have to pay Rs. 3750 as application fee, while Rs. 2750 should be paid by SC/ST/OBC candidates. 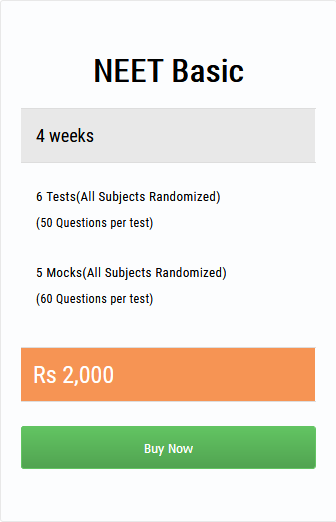 It is mandatory to select the exam centre where candidate wants to take the entrance test. NEET PG 2018 will be conducted on January 7, 2018. This year, as per the NBE notice regarding NEET PG 2018, applicants are required to provide their Aadhaar card number in the application form. Those candidates without an Aadhaar card are required to apply for it and provide the Aadhaar enrollment ID in the NEET PG application form 2018. However, applicants from the state of Assam, Jammu and Kashmir and Meghalaya who do not have any Aadhaar card are required to provide the details of their Passport/PAN Number/Driving License/Voter ID. The other required documents while filling the NEET PG 2018 application form are provided in the table below. Candidates who wish to appear for NEET PG 2018 should note that the application form of NEET PG 2018 has been released on October 31, 2017 in online mode. The exam date of NEET PG is January 7, 2018. Those completing their 12 months of rotating internship on or before March 31, 2018 and who are keen on appearing in NEET PG 2018 can find below the process to fill the NEET PG 2018 Application Form. Offline NEET PG applications and printed copies are not accepted. The last date to fill NEET PG application form 2018 is November 27, 2017. Further, one should ascertain the eligibility criteria before filling up the NEET PG 2018 application form. Creating a profile – In this section, candidates need to enter basic contact information like name, email, gender, telephone number, postal address, father’s name and mother’s name. Candidates also need to upload their colored photograph and their digital signature on their profile page. Completing the NEET PG application form 2018 – After creating their profile, candidates need to select the examination NEET PG from the drop down menu. Then click on Save & continue button. Thereafter, candidates will be required to enter their Nationality and Date of Birth, category for All India 50% Quota Seats from the available options etc. Scheduling the exam date – The next step will be to choose the preferred location where one would like to take the exam. Upon choosing the location, the candidate has to select his/her choice of examination venue and date and time. Paying the application fees – Candidates are required to pay the exam fees online using their credit/debit cards. Upon successful payment, the profile will be registered and an admit card will be sent to the registered email address within 24 hours. The NEET PG Application Form 2018 has been released on 31st October 2017. Candidates can register for this exam via online mode through the website. Firstly, create a profile on the website by entering registration details. Fill all the required details such as personal, academic, address, etc. Upload the scanned images of photograph, signature, photo ID, SMC/MCI & other certificates in the prescribed format. Schedule the examination date, time and center as per your preferences. Candidates have to make the fee payment through online mode. After completing the application, take the printout of the confirmation page for further use.